Did you know that over the past decade the Mastiff has become a popular breed to have? 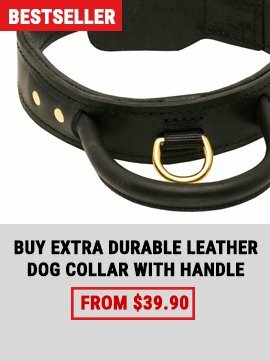 Their temperament, history, and appearance make them a desirable dog to own. The Mastiff has even been able to charm those who are famous. Famous people in the film industry that own a Mastiff have included Marlon Brando, Kirstie Alley, Gayle King, George C. Scott, and Michael Bay. Famous musicians who have owned Mastiffs include Flea, Bob Dylan, Jon Bon Jovi, and Christina Aguilera. Notable historical figures who have owned Mastiffs include Hannibal, Kublai Khan, and Alexander the Great. For the most part, these former owners have helped to raise awareness about the Mastiff breed. For example, Michael Bay has placed his Mastiff in several of his films. He has also been known to make donations to local Mastiff rescue groups in an effort to find misplaced Mastiffs good homes. 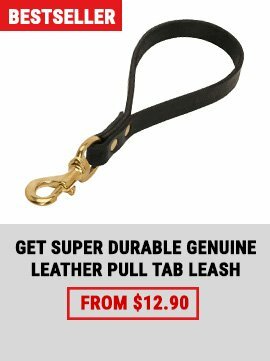 Being manufactured according to the requirements of Mastiff breed, this Leather Harness has quickly conquered the market of dog training equipment. 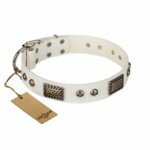 Its natural material and rust proof hardware allow every day wearing with comfort and freedom without worrying of the harness’ condition after use. 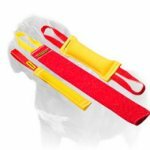 It is really multipurpose product so it can be used both for daily walks and training. Besides, the training can include the variety of courses: from basic obedience training to attack and agitation one. 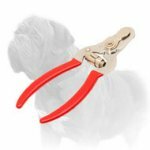 Do you want to control your Mastiff easily? 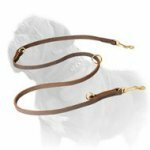 This Mastiff Leather Collar is a perfect money non-wasting decision for walking, training and excellent handling of your dog. 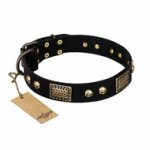 It will surely become your and your Mastiff’s favorite collar! Just look how great this leather shines! 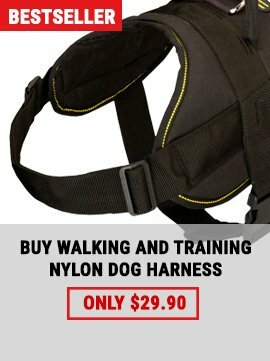 Hurry up to get one for your four-feet friend!